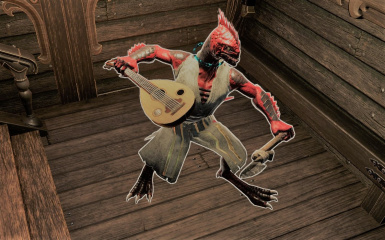 Adds nearly 50 bard and artificer skills. 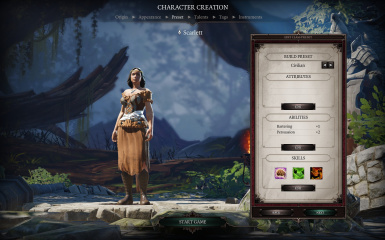 This mod adds almost 50 new skills, themed around the bard, the artificer, and to lesser extent, a monk or barbarian. Bard skills depend on leadership, while artificer skills require loremaster and a variety of other abilities. Bard skills manipulate statuses and apply buffs and debuffs, with few direct damage skills. Artificer skills mostly manipulate items, both in and out of combat, as well as focusing more on "force magic" that deals physical damage. Swindle: Steal buffs from a character. Dance of the Elements: apply random elemental vulnerabilities to enemies, reducing their resistances whenever they take the relevant damage. Dream Scream: Wake up a sleeping target into pain, madness, and a random debuff. Masochistic Melody: A buff that grants a character increased damage and crit chance whenever they receive a negative status. Song of Living Nightmares: Grant a random debuff on nearby enemies, which pierces armor. Also "upgrades" several statuses, like converting chilled to frozen, burning to necrofire, etc. This is one of few skills that scales with wits, which I plan on making more prevalent. 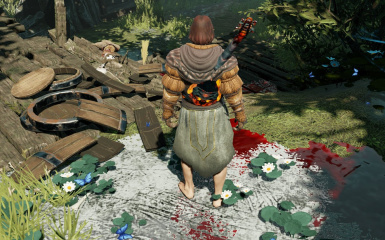 This mod also adds equippable "lutes," which function either as two-handed clubs or mid-range wands that deal piercing damage. There are a handful of unique loots throughout Fort Joy that modify your skills in different ways (lots more to do here for late game). 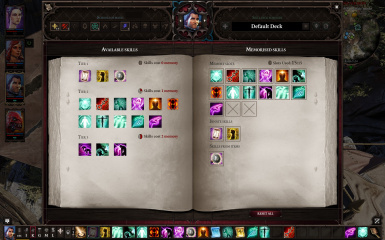 Duplicate: make an additional copy of an potion, food, or ingredient worth less than 50 gold (long cooldown). Gluttony: Force an enemy to consume all the food in their inventory or on the ground within 8 meters. Grasshopper Legs: Grant an ally the ability to jump a great distance once per turn. Nihilistic Materialism: Curse an object (e.g., a ladder) so whenever a character uses it, they are cursed for 2 turns. Reconfigure: Reroll nearby epic+ weapons into new variations, with a chance to degrade them to rare or uncommon. These skills mostly take advantage of a new status I made, Staggered, a lesser-form of knockdown, basically, which is an AP recovery reduction along with other maluses. Grapple: knock a nearby target down for up to 3 turns, increasing the AP cost of your actions while doing so. This is a contest of strength and dexterity, where the character can save against it each turn. Shove: Throw a character a short distance, with a good chance to "stagger" them if thrown a great vertical distance (like off a scaffolding). Leap: Leap a short distance, with a chance to be staggered if you jump down vertically. 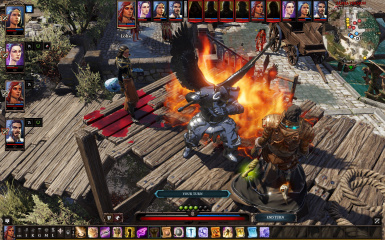 Dive Bomb: A phoenix dive-like skill, only it staggers characters in a radius dependent on the vertical distance you jump. 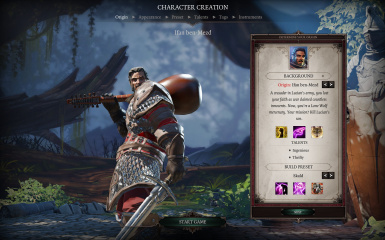 There are five new character creation presets: Bard, Skald, Artificer, Civilian, and Cheat Bard (starts with a few diamonds). 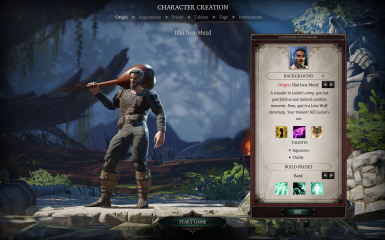 The Enchanter preset has also been modified to be a bard class, so you can recruit Lohse (or anyone else) as a bard. Nebora sells Artificer skills, and Laslor and Exter sells bard skills. 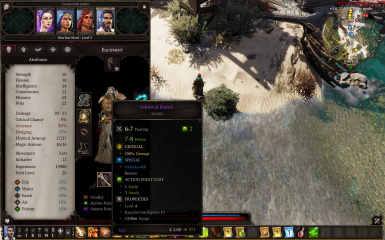 The Lady Vengeance orb trader also sells both artificer and bard skills. Suggestions for future traders appreciated. This should work fine on existing saves, but it will take a vendor reset (on level up or after 1-2 hours) to start seeing the skills. I'm pretty sure activating and then deactivating this mod is safe, but I can't be certain. For what it's worth, if you add this mod and don't really like the skills or whatever, it's pretty easy to ignore. Balance is... who knows? 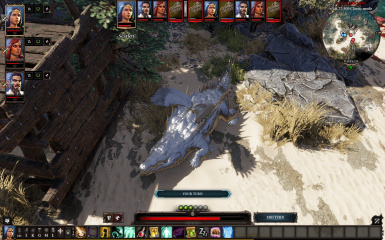 I tested most of the bard skills in alpha a good amount, but the Artificer skills are a little less certain, and I'm not really sure about late game. 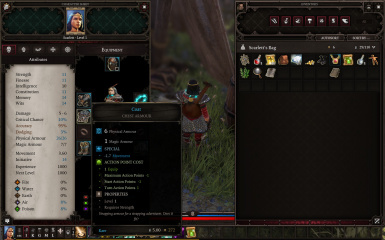 Duplicate will set an items quantity to two or three, even if it is a larger stack. 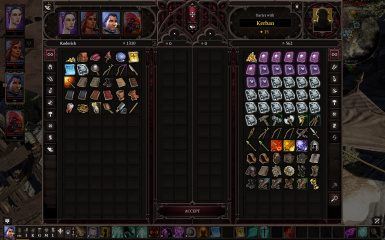 Trying to fix this, but for now, only duplicate 1 item stacks. Almost certainly I've forgotten various statuses with swindle, rhyme, feedback, and resonance. Icons are temporarily, will have some awesome icons soon (thanks to Mialune), though could use some more help on that front (particularly for the artificer and warfare skills). Spell effects, too, will be improved over time. 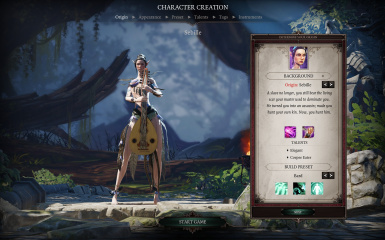 Cannot currently change bard or artificer skills at creation, not sure if that's fixable. Certainly many other bugs, poor skill descriptions, and whatnot expected.